It is the passion of most of us to travel to multiple locations along with our family, colleagues, or friends. friends On the other hand, many individuals love to travel alone and go on solo trips. In both these cases, you would be required to hire a room at some good hotel. The place where you visit for going on a tour, in most cases, would be new to you. For this reason, you may not be aware of the best budget hotel in Atascadero in that locality. If you would hire a hotel room randomly in the online mode, you may be required to pay high charge for the rooms with average level of services. Hence, you should do a little homework in assessing the reputation of the hotel where you would be booking a room for your visit. 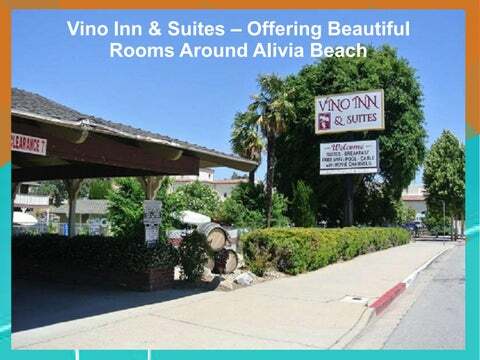 If you would try to search for a reputed hotel for your trip near to the Avila Beach, you will find the name Vino Inn & Suites on the top. We offer you very beautiful and comfortable rooms at affordable prices, which are equipped with multiple facilities and amenities. Those include air conditioner, heater, free WiFi, coin laundry, cable TV, microwave, coffee maker, refrigerator, private bathroom, and lots much more. We offer separate smoking suites, which you from book in case you want to relax during your stay with some puffs of cigarette smoking. With your room booking at our property, you would be provided with free complimentary breakfast. We strive hard to retain the position of the best economical hotel in Atascadero that we have earned by winning the hearts of our customers. customers They all have liked the services that we have offered to them. You can call us at 1 805 466 2231 either for making your booking or for any of your query, so that our team could respond to resolve those. those You can see the Gallery page of our website to see the pictures of our beautiful hotel rooms. Our hotel is in the middle of the city, which makes it easier for our customers to travel to various touring places. 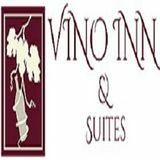 We provide information about the Vino Inn & Suites hotel, with whom you may book the beautiful rooms for your trip for the Avila beach.